Dr. Cotter is an Clinical Assistant Professor and the Undergraduate Program Director for the Baylor University Louise Herrington School of Nursing. She teaches Introduction to Professional Nursing Practice, Classroom and Laboratory Instruction and Leadership and Management Online Classroom Instruction. 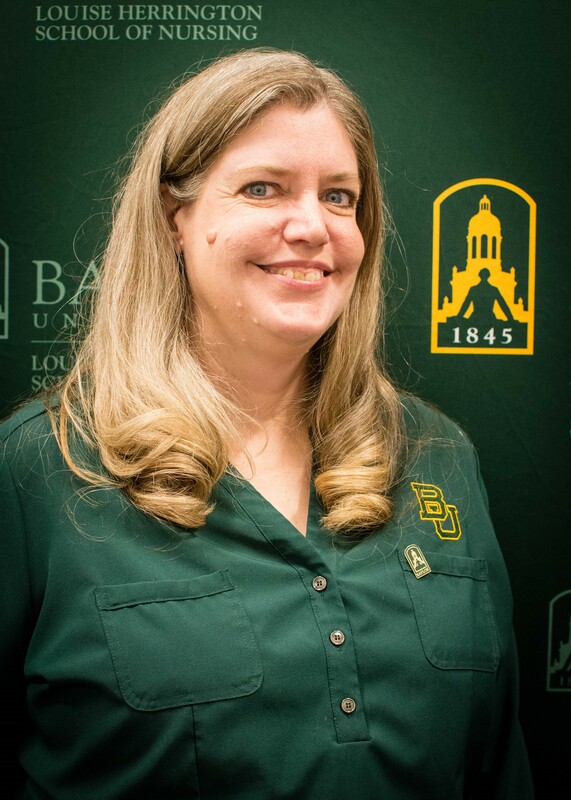 Prior to joining Baylor in 2017, Dr. Cotter was an Assistant Professor of Nursing at Oklahoma Baptist University in Shawnee, Oklahoma. Additionally, her background includes working as a Practical Nursing Instructor at Mid-Del Technology Center in Midwest City, Oklahoma; Adjunct Professor of Nursing Science at Rose State College in Midwest City, Oklahoma and Graduate Teaching Assistant at the University of Oklahoma, College of Nursing, in Oklahoma City, Oklahoma. She currently serves as a reviewer for manuscript submissions to the Nursing Education Perspectives Journal and serves on the conference planning committee for Nurse Educators Conference in the Rockies. In addition to her responsibilities, she is an active member of the Sigma Theta Tau International Society for Nurses Eta Gamma Chapter and the Texas Nurses Association/American Nurses Association. Throughout her distinguished career, Dr. Cotter has received many awards and honors. In 2008 she was honored with the Promising Teacher Award from Oklahoma Baptist University and was inducted into the Sigma Theta Tau International Honor Society for Nurses as a Community Leader in 2004. She was also recognized with the Outstanding Community Service Award from the College of Nursing at the University of Oklahoma in 2001. Giving back to the community, Dr. Cotter is a member of Wilshire Baptist Church and sings in the choir and serves on the missions committee. She is also involved in multiple international projects teaching with nurses overseas in hospital and community settings. She also served in the United States Public Health Services of the military as a Lieutenant Junior Grade, Active Duty, 1993-1995.